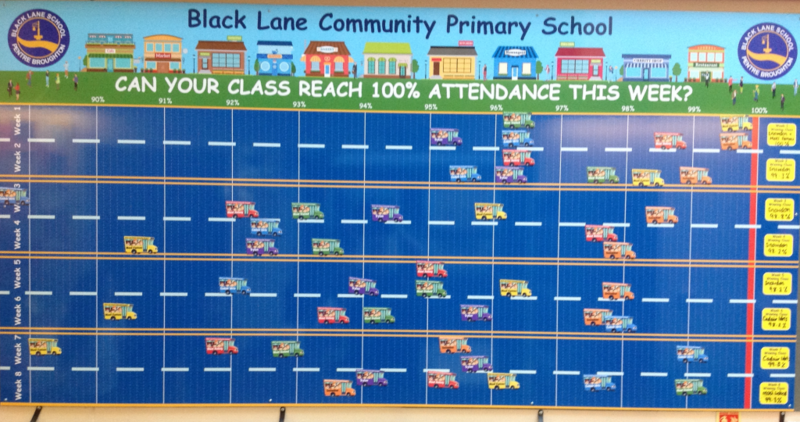 We have been using our new attendance display this term to ‘race’ to 100%. 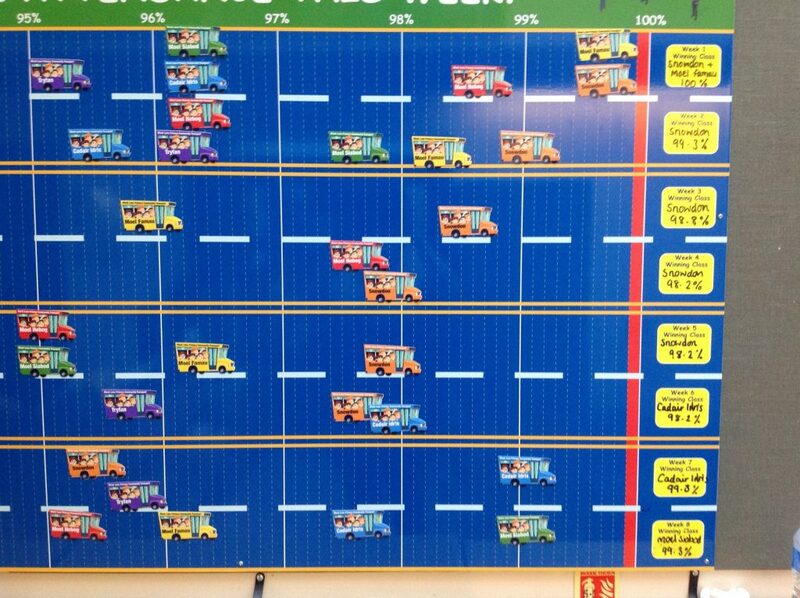 Each class has a coloured bus with their class name on. This is placed on the ‘track’ to show the class attendance %. 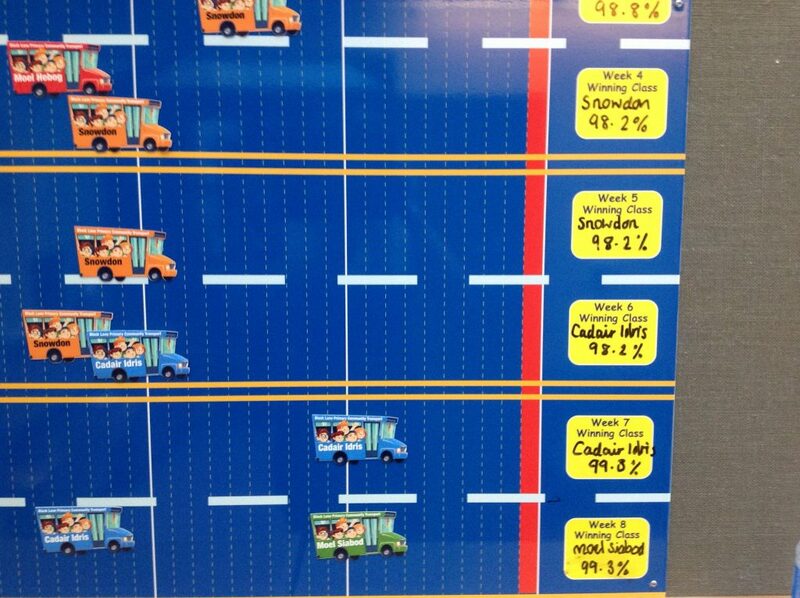 The children place the buses on the track showing decimal places. We can clearly see which class is in the lead and how classes improve each week.